Samsung won 36 awards for its devices at the CES 2018 Innovation Awards including one for the new Exynos 9810 chipset. Details are scarce, unfortunately, but it’s a virtual certainty that the next Galaxy S9 will be powered by this (in addition to Snapdragon 845). 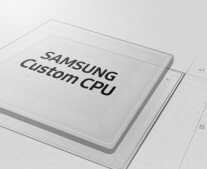 The latest flagship chipset is built with 3rd generation custom Samsung cores. Nothing is known about these M3 cores, though little was revealed about the previous generation cores as well. The GPU has been “upgraded” too with no further clarification. 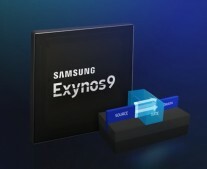 Likely, this means Mali-G72 cores as Samsung used the G71 for the previous gen Exynos chipset. To top it off, the chips will be manufactured on a 2nd generation 10nm process (so no 7nm process yet). 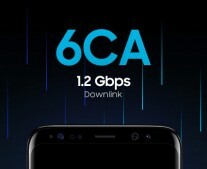 The Exynos 9810 will use Samsung’s latest 1.2Gbps modem (Cat. 18 6CA). This modem combines 6 carriers (an industry first) for increased performance. The company also showed off the ISOCELL Slim 2X7 sensor, which was announced earlier. It's a 24MP sensor with 0.9µm pixels and pixel binning for improved low-light performance. There was other tech on the PC-side of things . The 16Gb GDDR6 memory chips offers double the capacity of the older memory chips while working on a lower voltage. There was also an 8TB NVMe SSD that can transfer half a petabyte per second (obviously meant for datacenters). Samsung will keeo dominating the market for years I assume. Nice to see! This is a trolly response. I did and in depth (if I didn't challenge you , show me where I didn't).